In this update you’ll find all the information about the exciting changes to Cambridge University Press’s journals line-up in 2019, including a first look at a brand new launch title, titles that are switching to a fully Open Access model, and the new publishing partnerships we’ve established. If you would like to go directly to the latest journals pricelist, please click here. More details about all the changes coming in 2019 can be found below. 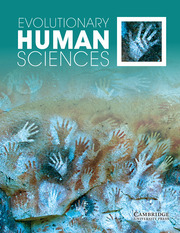 Evolutionary Human Sciences is a fully Open Access journal that supports a unified approach to evolutionary human sciences. We are concerned with understanding how evolution has shaped humankind, from biology through to culture. The journal aims to cover evolutionary anthropology, cultural evolution, human biology, evolutionary medicine, anthropological genetics, phylogenetics, paleoanthropology and evolutionary approaches to psychology, cognition, language, economics, archaeology, primatology, politics and anything else that can be considered to be part of the evolutionary human sciences. 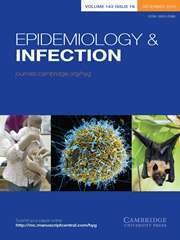 Epidemiology and Infection publishes original reports and reviews on all aspects of infection in humans and animals. Particular emphasis is given to the epidemiology, prevention and control of infectious diseases. The field covered is broad and includes the zoonoses, tropical infections, food hygiene, vaccine studies, statistics and the clinical, social and public-health aspects of infectious disease. 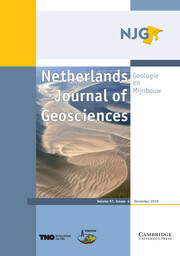 Netherlands Journal of Geosciences – Geologie en Mijnbouw is an international quarterly journal, which publishes papers on all aspects of geoscience, providing they are of international interest and quality. As the official publication of the ‘Netherlands Journal of Geosciences’ Foundation the journal publishes new and significant research in geosciences with a regional focus on the Netherlands, the North Sea region and relevant adjacent areas. Genetics Research is a key forum for original research on all aspects of human and animal genetics, reporting key findings on genes, mutations and molecular interactions leading to a better understanding of human disease. 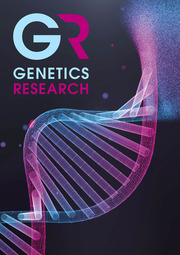 The journal focuses on the use of new technologies to produce increasingly detailed views of how genes function in tissues and how these genes perform, individually or collectively, in disease aetiology. 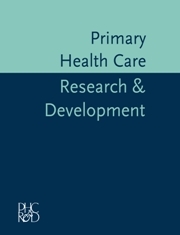 Primary Health Care Research & Development is aimed specifically at both researchers and practitioners in primary health care, bridging the gap between academic primary care and practice. It provides a forum for the publication of international, interdisciplinary research and development in primary health care. It is essential reading for all involved in primary care. From 2019 the Canadian Mathematical Society‘s two flagship research journals, the Canadian Journal of Mathematics and the Canadian Mathematical Bulletin, will be published by Cambridge University Press. The focus of the Canadian Mathematical Society is very much on the future, reaching out to form new partnerships with the users of mathematics in business, governments and universities, educators in the school and college systems as well as other mathematical associations; and in doing so, share experiences, work on collaborative projects and generally enhance the perception and strengthen the profile of mathematics in Canada. The flagship journal of the Association for the Study of Nationalities, Nationalities Papers, will be published by Cambridge University Press from 2019. The journal presents research on nationalism, ethnicity, ethnic conflict and national identity in Central Europe, the Balkans, the former Soviet Union, the Caucasus, the Turkic world and Central Eurasia. Cambridge University Press is partnering with the Renaissance Society of America (RSA) to publish Renaissance Quarterly, the leading American journal of Renaissance Studies. The journal, which covers the Western world from 1300 to 1700, will be available on the Cambridge Core platform from January 2019. Since it was founded in 1954 Renaissance Quarterly, and its predecessor titles, Renaissance News and Studies in the Renaissance, have published original research and reviews for disciplines including Art and Architecture, History, Literature, Theatre, Religion, Philosophy and Legal and Political Thought. Law & Social Inquiry’s ambit spans law and sociology, economics, political science, social psychology, history, philosophy and other social science and humanities disciplines. The journal publishes a remarkable range of scholarship on specific topics in law and society, including but not limited to law, legal institutions, the legal profession, and legal processes. The American Bar Foundation (ABF) is among the world’s leading research institutes for the empirical and interdisciplinary study of law. An independent, nonprofit organization for more than 60 years, the ABF seeks to advance the understanding and improvement of law through research projects of unmatched scale and quality on the most pressing issues facing the legal system in the United States and the world. From 2019 Cambridge University Press will publish Religion and American Culture, a journal exploring the interplay between religion and other spheres of American culture. Religion and American Culture is devoted to promoting the ongoing scholarly discussion of the nature, terms, and dynamics of religion in America. The Center for the Study of Religion and American Culture was established in 1989 to explore the connection between religion and other aspects of American culture. We are a research and public outreach institute that supports the ongoing scholarly discussion of the nature, terms, and dynamics of religion in America. As a program of the IU School of Liberal Arts at IUPUI, the Center pursues its aim as part of the mission of liberal and humane learning. It seeks to elevate among students, faculty, and the larger American public the understanding of the influence of religion in the lives of people. From 2019 Cambridge University Press will publish the Yearbook for Traditional Music, a refereed scholarly journal which carries essays, reviews, and reports in the area of traditional music and dance research. The International Council for Traditional Music is a scholarly organization which aims to further the study, practice, documentation, preservation, and dissemination of traditional music and dance of all countries.